Scrapping the UK’s default retirement age could lead to many more people working to a much older age, and as such requiring a wholesale readjustment of health programmes, working practices and attitudes towards old age, according to NHS Employers. The government has said it will review the UK’s default retirement age (DRA) of 65 next year as part of a new strategy to address the changing demographic make-up of the country. While the move was welcome, it has potentially significant implications for the NHS and workplaces alike, warned NHS Employers deputy director Alastair Henderson. 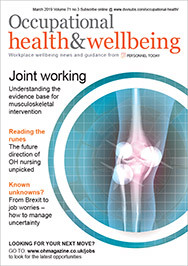 “NHS organisations have a central role to play in delivering this new strategy and this includes providing health prevention programmes, flexible employment packages and education and training for staff of all ages so that we retain staff throughout their working life,” he said. Its annual Consumer Attitudes to Saving survey has found that more than half of the UK population aren’t financially prepared for retirement and feel they will have to work beyond their ‘normal’ retirement date to fund their later years, up 12% on five years ago. And measures such as better foot are, eye tests and light exercise may have to become more commonplace if older people are to be helped to live better, care service minister Phil Hope added.